JP Hilsabeck is a castaway on Season 35 of Survivor dubbed Survivor: Heroes vs. Healers vs. Hustlers this fall. JP, a 28-year-old firefighter from Los Angeles, CA, started off as a member of the Heroes tribe called "Levu." After a tribal swap, JP became a member of the new "Soko" tribe, which featured a mix of Heroes, Healers and Hustlers. As shown in the latest preview, the merge is right around the corner, so JP survived about half the season already. JP has been accused of not being the brightest bulb, and his tribemates have poked fun at his lack of social game. 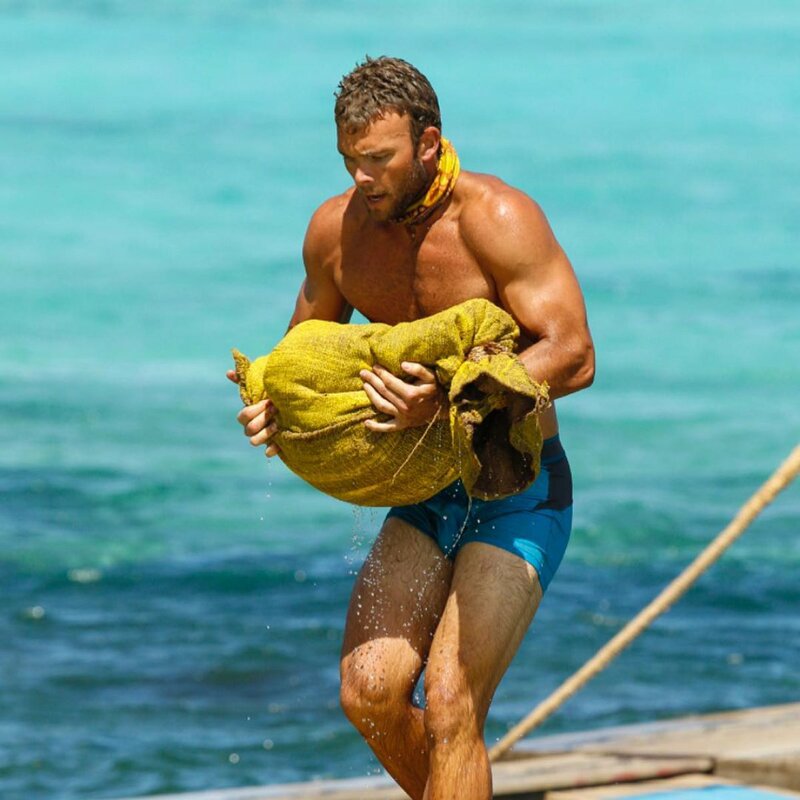 But JP must be doing something right, because the player has made it this far and knows how to be loyal, trustworthy and provide food for his fellow hungry castaways. JP, however, recently realized he'll need to step up his game come the merge if he's going to stick around much longer considering he's definitely going to be a threat in Individual Immunity Challenges. Curious to learn more about JP, whom castaway Ashley Nolan admitted is pretty dreamy? - JP has a husky dog he had rescued named Thor and he's the Survivor castaway's best friend. - He can't stand it when people don't follow through with plans or activities. - JP believes he could win Survivor because he's athletic, smart and able to read people. JP says he has a good moral character and enjoys the competitive aspect of the game. - He admires his dad most in life because the man showed JP the meaning of hard work and that having the right mindset -- like never giving up or quitting -- can take him anywhere in life. - JP considers himself outgoing, adventurous, romantic, and outdoorsy. He enjoys surfing and hiking. - JP wants to win the million dollars on Survivor in order to donate money to his sister's foundation to help find a cure for idiopathic thrombocytopenic purpura, better known as ITP, which is an autoimmune disorder having to do with low levels of platelets.